Glee dedicated this week's episode to remembering character Finn Hudson after this summer's tragic overdose death of his portrayor Cory Monteith. I wasn't sure what to expect going into tonight's episode but I was certain of one thing -- that I would be a snotty, sobby mess by the end. And that it was. The show opened with Chris Colfer's Kurt returning to his alma mater to attend the memorial service planned by Glee Club teacher Mr. Schue to remember his brother Finn who had died three weeks earlier. There was no mention of how Finn died, and there didn't need to be. After all, the world knows how his portrayer died, so there really wasn't any need to concoct some sort of story line surrounding Finn's passing. This was an episode that wasn't the result of some kind of plot twist or cast change, it was simply out of tribute to a cast member and friend and who was tragically gone far too early. 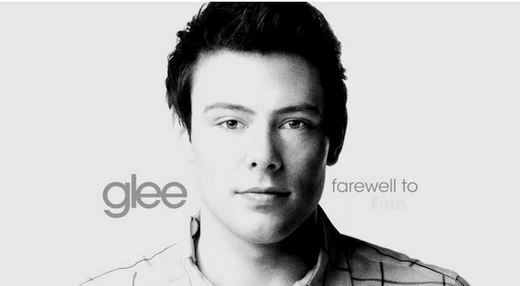 Glee creator Ryan Murphy managed to create a tribute to both the actor and the character that was perfect in every way. It concentrated on former cast members who shared the screen with Finn the most, with the new cast members being mostly silent in the background, allowing the Glee alums to pay their tributes in the best way that they knew how -- through song. The writing of this episode was spot on, with the writers infusing their typical witty and sarcastic dialogue with a more somber tone fitting for this episode. It would have felt less genuine if Sue Sylvester wasn't able to still be Sue Sylvester, delivering her standard snark, or if Santana wasn't able to offer her tribute to Finn while musing about what he and new friend Fat Elvis were eating up in heaven. Even though the actors and the characters were both mourning their friend, the writers stayed true to the characters and the show and served up an episode that not only honored the character of Finn Hudson but of the actor Cory Monteith as well. While we saw some of our favourite characters pay tribute in song, including Mercedes, Puck, Artie and Sam and Santana, it was the appearance of Finn's onscreen parents who affected me the most. Maybe it's because I'm a parent myself, but watching Finn's mom break down wondering how one wakes up being a parent while no longer having a child was one of the most heartbreaking moments on television I've ever watched. Maybe the toughest part of watching this entire episode is knowing that all the tears these characters have shed are real, and that the pain the characters felt at the loss of their friend, brother, lover and son was real too. Lea Michele singing her tribute to her real life and on screen love was heartbreaking, and just the right amount of intimate. I can't imagine how difficult it was for Lea to film those scenes, and I'm glad that she allowed the fans of the show to grieve with her just a little bit through her appearance in this episode. Seeing Mr. Schue finally break down and cry after we see that he was the one who took Finn's varsity letterman jacket was the perfect ending to a fitting tribute episode. I think it was Sue Sylvester said it best when she said "There's no lesson here. No happy ending. He's just gone. It's just so pointless. All that potential." RIP Finn Hudson.